For a startup, nothing is more important than making sure everyone on the team is on the right track. As you grow you want to have the ability to manage and monitor your teams’ collaborative efforts in the most efficient way possible. 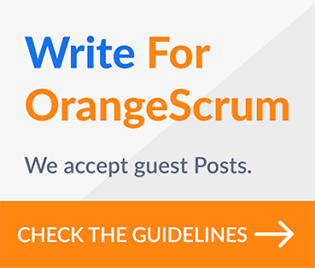 Orangescrum is ideal for all startups including us. Orangescrum is a work management + collaboration + Time Tracking Tool specializes in managing the work flow of your team by allowing team members to create tasks, set deadlines and track the progress of each task. Each task can have, attachments, discussion boards. It has several integrations including Dropbox and Google Drive. Orangescrum is specifically designed for companies that are still in their early stages of development and are interested in creating a road-map for their products. It allows users to set their vision, build a business model, track goals and monitor delivery within stipulated time. Time tracking enables “resources-to-task- to-time” mapping providing accurate view of resource utilization. Deep dive into your project data with our in-built analytics – Project overview, Gantt Chart, Burn down chart, Task report, Resource Utilization to name a few. Track Time of your project team and manage them efficiently. One of the easiest project collaboration app for you and your team. Go for a 30-day trial run. Our Startup plan starts with $9 per month for 10 users. Need Help? Talk to our experts at support@orangescrum.com. 4 Orangescrum Community Add-ons for Startups, Freelancer and SME’s How Orangescrum can Help IT Firms Orangescrum for Marketing Agencies Time Log Chart View Released!